Policy » RoleplayLives - the best multi-fandom roleplay site on the net! RoleplayLives is an online social networking service that allows our members to set up their own unique personal profiles that can be linked together through networks of friends. RoleplayLives members can view each others' profiles, share photos, post status updates, post journals and comments, and describe their interests. The Information you submit to us upon signing up will remain confidential and will not be sold by us to any 3rd party sites. This information you submit to this website upon signing up is strictly used for personal communication by you and your friends. Admins can and will step in when needed to protect the site itself, however. Notifications such as newsletters and alerts are sent via email at your request. RoleplayLives is accessed by numerous users daily and is not the kind of environment to give out your phone number, address, or any other account or real life information. This site is EU GDPR compliant. RoleplayLives does not collect or store personal data by the definition of the EU law, nor does it do business in the EU. RoleplayLives is a fully not-for-profit entity. Any donations made by EU members can be done so anonymously. Any personal data such as IP address collected on the site is not shared with anyone except where law requires authorities be contacted. 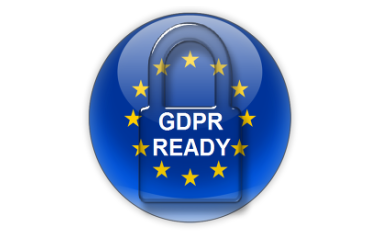 RoleplayLives will, in compliance with the EU GDPR, fully delete the data of any member at that member's request within 72 hours. This site is protected from attacks by Cloudflare. Data is streamed through a CDN and matched up to spam lists. Any accounts who are suspected of hacking/trolling/malware/DDOS attacking can and will have their information synced to the Cloudflare CDN servers in order to protect the RoleplayLives site. The current IP address of a user's login is used to deter spam, attacks, ensure site policy, and enforce bans on non-compliant users.